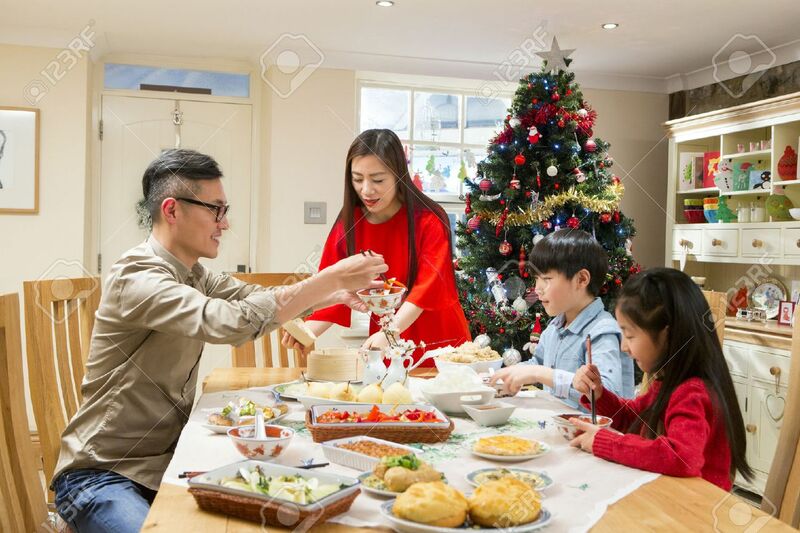 Chinese Family Enjoying Their ~christmas Dinner. They Are Eating Traditional Chinese Food. The Parents Are Serving It Round The Table. Royalty Free Fotografie A Reklamní Fotografie. Image 58332008. Reklamní fotografie - Chinese family enjoying their ~christmas dinner. They are eating traditional Chinese food. The parents are serving it round the table. Chinese family enjoying their ~christmas dinner. They are eating traditional Chinese food. The parents are serving it round the table.